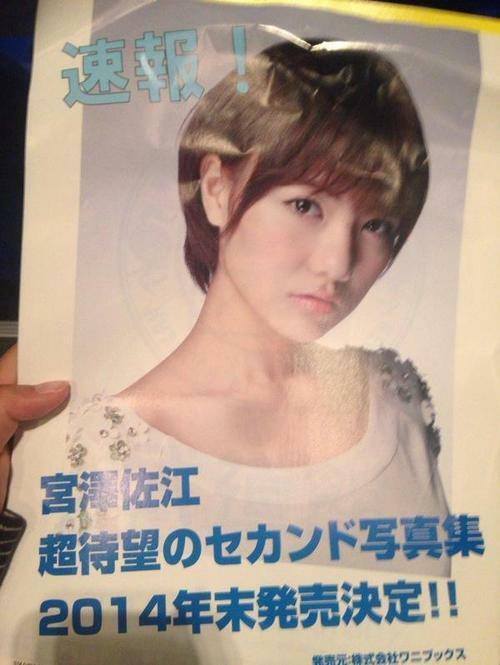 [2015.02.16] Miyazawa Sae 2nd photobook "Namida no Yukue"
Announced today by this flyer put inside the AKB49 musical pamphlet! Release date will be next year. Still need to wait for more info a bit. Mark it on your calendarsss! Page updated with order info! Every shop will include a different raw photo with the PB. For us foreigners I guess the best place to preorder is HMV. Re: [2015.02.16] Miyazawa Sae 2nd photobook "Namida no Yukue"
Photobook title 涙の行方 "Namida no Yukue"
Sae at the PB's release event on the 17th.